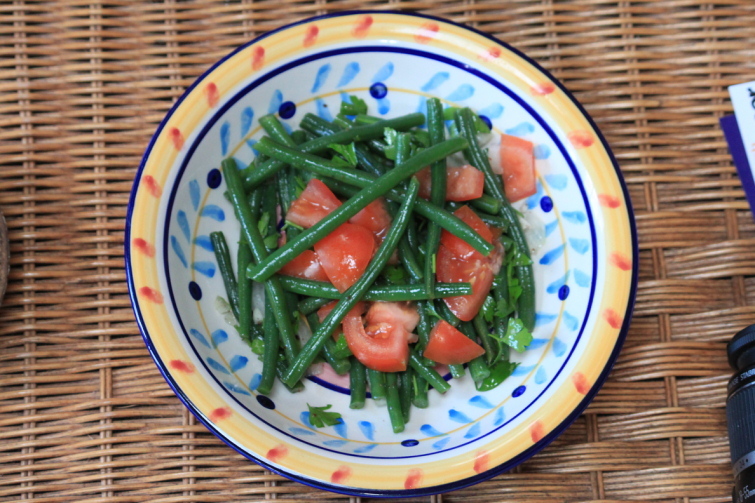 This salad is very common in Ege Bolgesi ( Aegean side of Turkey) at summer time when the fresh beans available cheaply and also from bean fields not green houses. Boil the green beans for 5 minutes then put in cold water and drain. Another small cup mix with olive oil, lemon juice, sumac, minced garlic and chopped parsley then toss into the green beans salad.